Once again we enjoyed another magical retreat at Westerbeke. This year's program, Space Place and Grace- the Art and Science of Feng Shui was presented by Diane Bush, RN, MPH who owns the Creative Connection. Diane taught us the basics of the Black Hat Sect method of Feng Shui, giving us practical applications to use at home and work. Recognizing the skeptics among us, Diane allowed plenty of leeway for individual interpretations and personalization. 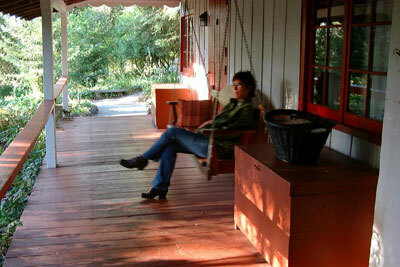 She taught us how to use Feng Shui principles in a modern way, not just with the same old tools used by the ancients. We learned that we already have a lot of the wisdom of Feng Shui in our own hearts and minds and should learn to trust our own intuition. Intention forms the key to success in Feng Shui. When we create an intervention in the spaces, we should have firmly in mind the outcome we intend. I have heard from several gals since the retreat that they feel they benefited greatly from the program and considered the presentation a great success. Saturday night we enjoyed one of the most rousing entertainment programs ever. Katherine Cruise's gorgeous and talented cousin, Betsy Flood entertained us with her fabulous "belly dancing", and then shared with us the fascinating history of the true meaning of "belly-dancing". We learned that originally women of the Middle East and northern Africa shared this special dance among themselves to "dance" infants into the world. The motions of the dance strengthened the muscles used in childbirth and helped create a painless delivery. What a wonderful and joyous way to welcome a child into the world! The musicians also shared the history of their instruments and stories of how they came to this unique art form. Then we joined in by donning glittering costumes that Betsy brought and learned dancing moves to the beat of that incredible music. We even had a chance to try out the wonderful drums. It was a special night. The art project went along with the Feng Shui theme, teaching us the importance of balance as we attempted to create our own Calder style mobiles from wire, colored paper, and found objects. Leslie Allen and Nan Croley brought beautiful examples to look at and model our pieces after. As always, the results impressed everyone with their variety, elegance, playfulness and creativity. I'm sure several of us ended up with nice pieces to hang in our living rooms. Thank you, Leslie and Nan! On a tragic note, we learned Friday night that Andrea Walhof's husband died of a heart attack on Friday afternoon after Andrea had left her home in Truckee for the retreat. Andrea's husband was 47 years old, had no history of heart problems (at least that he shared with others), and left Andrea with 2 teenaged children. The group circulated cards for signing and Janet sent a letter of sympathy and support to Andrea with the group's signed cards from the retreat. 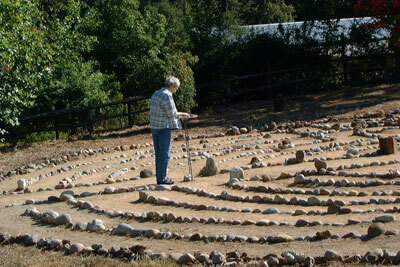 Together we all walked the labyrinth in support of Andrea. I hope that she felt the prayers and good wishes that we were concentrating in her and her family's direction. As all that energy emanated from the center of the labyrinth, we all felt the bond that we share and realized the tenuous hold that we have to this world and everything in it. Galen Cranz reported that she is assisting at U.C. Berkeley with the management of Sigrid Rupp's bequest of a bi-annual semester's research position for a woman practitioner, and will keep us up to date with its progress. Galen is doing her best to make sure the funds are not diverted from Sigrid's intentions. Janet Crane tells us that we did OK with the finances: covered our costs, provided a small number of scholarships and created a modest surplus for special needs. Thank you very much Heather Sprague for taking on the job of managing the money, and agreeing to do it again next year. Thank you, Janet Crane for being our fearless leader once again. 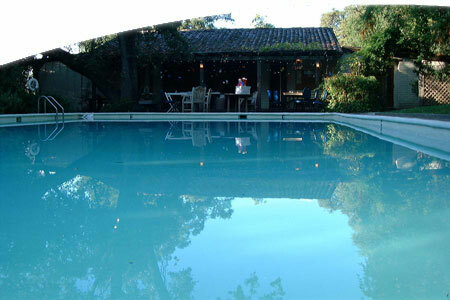 It was another unforgettable retreat in a long series of memorable retreats. Each year the OWA hosts a benefit party to support the Hamilton Family Center which has been working to end homelessness since 1985, and offers care at every level. They are the largest provider of shelter and support services for homeless families in San Francisco, helping hundreds of families a year. Approximately 60 people attended the "Overview of Acoustical Design" presentation at the office of Charles M. Salter Associates, Inc. on October 17. Elaine Hsieh, OWA Steering Committee member and acoustical consultant, started by presenting on the history of acoustics, general acoustical issues due to environmental, mechanical, and plumbing noise and vibration, wall and floor-ceiling constructions in housing and offices, room acoustics, and A/V systems. Charles Salter then continued speaking about case studies that the firm has worked on, such as the Monterey Bay Aquarium, Stanford Theater, SF MOMA, Oakland Federal Building Courthouse, Skywalker Ranch Technical Building, KQED Recording Stage, as well as housing and restaurant projects. He also spoke about expert witness work he has been involved in with various litigation cases, mostly involving noise complaints, to demonstrate the importance of due diligence, setting appropriate project goals, and evaluation of submittals in the design and construction process. He also discussed the firm's work on Norman Foster's James H. Clark Center at Stanford University and Frank Gehry's Disney Concert Hall in Los Angeles, including several specific details used on these extraordinary projects. Charles indicated the sound-absorbing treatments being used at the Clark Center's subterranean lecture hall, which has the shape of a perfect circle, and the isolation required at the lecture hall's skylights since people outside can walk on top of the structure. Isolation was also required in the Disney Concert Hall, with its large mechanical systems, built-in pipe organ, and main concert hall directly above the parking garage. Questions were taken from the audience once the presentation was finished, and various acoustical materials (e.g., rubber and cork underlayments, resilient channel, acoustical plaster) were passed around for show-and-tell as requested. Informal tours of the office were then given to those interested in short demonstrations of the firm's famous Presentation Studio (a type of anechoic chamber used to demonstrate background noise levels, noise isolation, reverberation levels, and generally help clients determine noise criteria for projects). Several of the current steering committee members will be stepping down over the course of the next several months as the course of their tenure comes to an end. 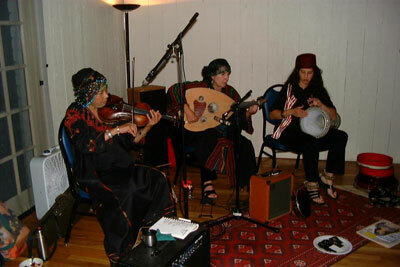 Those members are Mimi Malayan, Hana Mori,Sarka Volejnikova, and Orit Yanai. We will miss their invaluable support, wisdom and contributions. We have happily managed to recruit two new members to the Steering Committee. We are pleased to welcome Margaret Goglia and Cynthia Wang aboard and look forward to the new collaboration. Margaret Goglia, AIA, serves as a Project Director in the Facilities Division at the Lawrence Berkeley National Laboratory. Her areas of expertise include planning, architecture, conventional facilities construction, project management and environmental design. Margaret began her career at LBNL in 2001 as the Facilities Deputy and manager of A&E / PM services for the Laboratory. Prior to joining the Berkeley Lab, she was Associate Director for Design and Construction Policy at the University of California Office of the President. Between 1984 and 1996, she served in a variety of design and construction leadership and management positions during a robust period of UCLA's capital program involving hospital, research, academic, housing, service, and utility building design and construction. Ms. Goglia has led all phases of major capital projects from planning and programming to commissioning and occupancy. Her early career focused on teaching and research; she served on the faculty of the Architecture Department at Cal Poly, Pomona for five years and has held numerous consulting and academic positions. 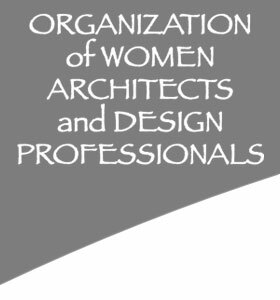 She is a member of the American Institute of Architects and the Organization of Women Architects. She has chaired both the Western Council of Construction Consumers Board of Directors and the Association for Women in Architecture Board of Directors. Margaret Goglia received her BA from the State University of New York at Buffalo and a Masters Degree from Yale University in 1975. Cynthia Wang, a graduate of the Masters of Architecture program at the University of California, Berkeley is a Project Designer at Beverly Prior Architects in San Francisco. Her projects are within both the education and justice sectors. Previously, at Endres Ware Architects and Engineering in Berkeley, she was involved in the structural development of high-end residential and municipal projects. She received recognition as part of the project team for the San Mateo Shoreline Park Pavilions. Beyond the workplace, Cynthia is involved in community projects such as instructing inner-city youths in the areas of art, architecture and construction, volunteers regularly with Habitat for Humanity, and has teamed with artists in the permanent installation of public art. The Green Dollhouse Exhibit opened at Coyote Point Museum, San Mateo, CA on September 24, 2005. The exhibit will continue until December 3, 2005. The Green Dollhouse Exhibit is a delightful collection that showcases more than a dozen of the best entries from the Green Dollhouse Competition. Guaranteed to be fun and engaging for the young and the young at heart, this exhibit celebrates the many ways in which we can make our homes healthier and more eco-friendly. These doll dwellings demonstrate different green building principles: Energy efficiency, water conservation, healthier building materials and other sustainable practices. OWA's health plan with Health Net is still in operation and new members can still join. All remaining Health Net plans with small associations like OWA (with less than 1,000 plan members) are currently operating under an injunction preventing Health Net from dropping our coverage, as they had planned to do last year. The Trial Lawyers Association, a similar group to OWA, is going through the legal process about 6 months ahead of OWA. Last week, Health Net's appeal to their injunction was heard at the Appeals Court at 350 McAllister St in SF. The judges do not rule in the hearing, but publish a ruling 2 - 4 weeks after the hearing. The issue comes down to whether the contract that Health Net wrote with these associations is valid under their license, related to State regulations on which groups can be covered in which way (Knox Keene Act). Since what happens to the Trial Lawyers' group is a precedent for us, we will report to all members on the judges' decision as soon as it is released.